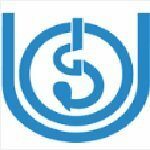 IGNOU Trainee recruitment 2016-17 notification apply for 45 vacancies : Indira Gandhi National Open University (IGNOU) welcomes application for the position of 45 Project Associate and Trainee vacancies. Candidates who completed their MLIS degree, BLIS is a good opportunity.The individuals who are the occupation seekers searching for govt employments in Delhi and West Bengal this is the best chance to apply. Competitors read the official notification then read all the guidelines and miners precisely then apply before the last date online application got. All the interested and eligible candidates can appear walk – in – interview on 8th July 2016. Candidates Age Limit: The age of the candidate will be according to rules and regulation of Indira Gandhi National Open University (IGNOU) organization norms. Academic qualification details: Candidates must possess MLIS degree from a recognized institution. Process of selection for the job: The selection of the candidates will be on the basis of walk – in – interview that will be held at convention Centre, Indira Gandhi National Open University (IGNOU) campus, Maiden Garhi, New Delhi on 8th July 2016. Academic qualification details: Candidates must possess BLIS degree from recognized institution. Process of applying for the job: All the interested and eligible candidates can appear walk – in – interview along with original testimonials and self – attested copies of the same at the time of interview that will be held at convention Centre, Indira Gandhi National Open University (IGNOU) campus, Maiden Garhi, New Delhi on 8th July 2016.